Heights by great men reached and kept, were not obtained by sudden flight, but, while their companions slept, they were toiling upward in the night,” quoted the famous poet Henry Wadsworth Longfellow. 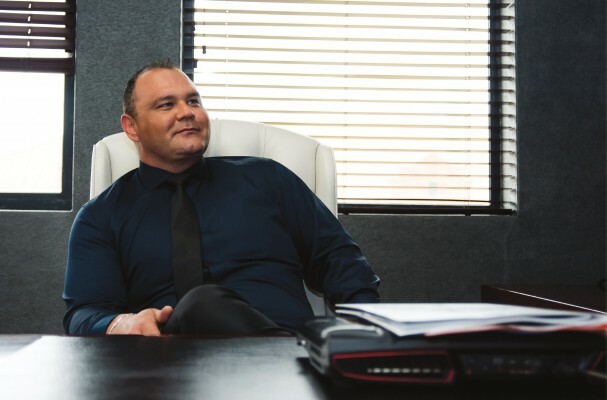 One such great fellow is without any doubt Arnoux Maré, CEO of Innovative Group Solutions TM and MD of Innovative Staffing Solutions. Innovative Group Solutions TM is an outsourcing service provider, acting as a holding company with 20 subsidiaries including: Innovative Staffing Solutions, Innovative BEE Solutions, Innovative Accounting Solutions, Innovative PPE Solutions, Innovative Learning Solutions and Innovative Marketing Solutions.Each of these divisions has its own client base, and operates within in the transport, mining, engineering, manufacturing, agriculture, hospitality, and retail sectors of the economy. In South Africa, where many industries are affected by a workforce mostly driven by labour, policy and legislation, outsourcing can become a powerful and successful survival strategy to bolster competitive advantage and consolidate costs. To put it in the right context against labour broking, outsourcing is when a company outsource certain functions and operations to an outside company on a permanent basis instead of having an inhouse department handling and managing them. Over the past decade, outsourcing has become a major trend globally, specifically in human resources and accounting. All Innovative Staffing Solutions employees are permanently employed, but outsourced to contracted clients for a fixed rate and absorbs all additional labour costs. The only extra cost ever added on to the agreed rate with a client, is for overtime. It takes over and manages all costs pertaining to sick and annual leave, and absenteeism. None of these affect the client. All staff relations and human resource matters thus become the sole responsibility of Innovative Group Solutions TM that takes charge of vetting, assessing, training, administering trade unions, the bargaining council, provident fund, medical aid, Pay As You Earn (PAYE), Unemployment Insurance Fund (UIF) and any employee disciplinary processes. A fixed cost structure enables clients to budget far more accurately. But the biggest advantages for companies to outsource to Innovative Group Solutions TM are; flexibility, freeing up more time to invest in other areas of their business such as research and development; better growth and innovation; and clients are always ensured of skilled and proficient staff. With Innovative Group Solutions TM as an operations partner, existing contracted companies have already experienced significant expansion, and reached far greater heights without having to toil with labour and accounting issues. And while each person or company has their own ideas about the kind of heights they would like to achieve, in the context of Maré’s life, it means achieving incremental milestones and goals without really knowing what the final end would look like in 15 years time. Because, for Maré, success is not measured by the heights he would have attained at a certain time in the future, but by becoming what he can be, who he needs to be, to overcome the various obstacles in achieving the smaller milestones along the journey of an even greater accomplishment. 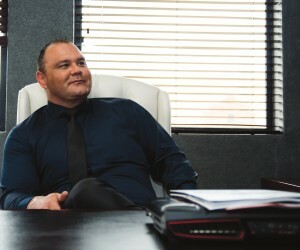 And yet, he makes it all look so effortless, casual almost, as he continually draws courage and inspiration from his inherent capabilities which helped him to transform the company from a one-man venture in 2011, to a workforce of over 17,000 employees, and an annual turnover of R780 million in 2017. Within just seven years of operation, Arnoux Maré become a multimillionaire, the winner of Best Outsourcing Service Provider in Africa, and CEO of the Year, Africa Leadership Awards 2017. In 2011 Arnoux Maré left the safety office of the corporate world with big dreams and a clear vision. “Being in corporate, I recognised a lot of things companies struggle with. But in a crowded environment, I was just a number and nobody would take me seriously. I wanted to be more,” he says. He founded a labour and human resource consultancy, spending 12 hours on the road every day to find clients, who simply were not interested in his proposals at first. Canvassing for new business by day, studying right through the night, and not closing anyone for nine months, certainly require a huge amount of courage, perseverance and resilience, qualities instinctive to Maré. But eventually, if you knock long and loud enough at the gate, you’re sure to wake up somebody, and little by little he got the deals by stop following industry trends, and doing what he intuitively thought was right. So he positioned himself as an expert in labour relations, labour law, labour procedures, legislation, and industrial relations. He did research on each of the South African labour laws, unpacked them, studied them, identified the problem areas, and figured out where the opportunities were. Word of mouth brought more and more clients, and soon he hit the 20-million turnover mark with a well-established client base. It was then when he realised he’s going to make it. Trust is essential in business, but what’s more important is providing solutions. Companies spend vast amounts of time and money on hiring, managing and firing staff, and dealing with labour disputes, unrests and strikes. Innovative Staffing Solutions helps companies, SMEs and entrepreneurs find solutions to their unique challenges, resulting in saving costs and time. Maré and executive teams assume all responsibility and accountability with unparalleled human resources and industrial relations expertise. “Our exceptional growth is a demonstration of the satisfaction our clients experience,” says Maré. In his new book Flourish, author Martin Seligman says, “Human beings, ineluctably, want meaning and purpose in life.” The meaningful life, according to Seligman, involves ‘belonging to and serving something that you believe is bigger than yourself’. So, when you clearly understand your purpose in life like Arnoux, you’re able to align your values with your efforts, allowing you to make significant contributions important to yourself, your family and the community in which you operate. Your purpose and values then become the driving forces to help overcome the obstacles at your feet, and sustain the man you become along the way. But sometimes the greatest obstacles are not in front of you, but within you, often having to shun ghosts from the past. Internal instincts to survive drove him forward: his values of loyalty, honesty, and hard work, nudging him through every day. But with a baby on the way the same time he just started the business, Arnoux knew he had to do better. People judge you by what you’ve already done, while you judge yourself by what you feel capable of doing. Arnoux feels capable of moving mountains and already proved he can do it when he exceeded R780-million. Although the company achieved this laudable turnover in just a short time, Arnoux has no sense of slowing down or stopping. South Africa has an abundance of low and semi-skilled workers, who, at times, can be a challenge to manage. And skilled workers and those in managerial positions, are in high demand but short supply and expensive to retain. Staffing a business can therefore be time-consuming, taxing, demanding and often wearisome. For example, recent amendments to the Labour Relations Act dictate that clients of labour brokers have to hire contractors who earn below R205,433 annually after three months. A drawn-out battle over the right interpretation of the section has seen unions and labour brokers battling it out in several courts. While the ruling brings about much needed stability for some, others are not sure whether they will retain their jobs in future. “If these workers were employed by Innovative Staffing Solutions they would not have been in this situation, and be secured of a full time positioned without any risks,” says Maré. Retrenchment is inevitable in South Africa, but thus far, Innovative Solutions Group TM did not retrench one single soul, and experienced minimal labour unrest, despite the huge number of people in its employ. By outsourcing finance and accounting processes to Innovative Accounting Solutions, companies have found they can access financial resources and best practices otherwise beyond their reach. “We assist clients in developing better benchmark and baseline financial processes to help the company meet all its regulatory requirements. Simplifying and standardising financial and accounting processes are key characteristics of well-run companies,” says Maré. Outsourcing will also allow businesses to share any associated risks, thereby reducing mental burden, and finding a formula for risk against return. This increases inhouse efficiency and productivity, workplace quality, and high value products and services. It helps to build strong brand equity and reputation, and eliminates the need for investment in infrastructure, thereby contributing to the bottom-line. For most employees job security and stability are the most important aspects of life. When they are employed by Innovative Staffing Solutions, they are assured of permanent employment, even when economy slumps or when industry and labour legislations change. When there’s no employment opportunities available within the specific sector, or an employee’s current skill-set not matching the opportunity, Innovative Staffing Solutions trains them for three months in training centres where they shadow competent and experienced employees to upskill with proper guidance and instruction. “We are closely involved in the communities in which our staff members live, and believe the best use of any discretionary money at this point, lies in education and skills development,” confirms Maré. Maré believes South Africa’s unemployment issue is a result of shortage of skills. “”In some instances, corporate South Africa is unable to fill positions with adequately skilled people.” He suggests companies could outsource their skills requirements to Innovative Staffing Solutions which can then source and train the right people. A great part of the company’s CSI activity, is empowering and educating the youth and women on issues of empowerment and self-respect, with the objective to move more people from poverty to sustainability. To ensure the entire company is always on top, requires a firm approach. Maré is a straightforward and direct leader who makes no excuses, and don’t want to hear excuses either. “I have no filter. I say a lot that’s not acceptable because people hate the truth. I challenge every status quo, as that’s my personality, even if lands me in trouble. At least I do it smartly,” he smiles. The greatest firmness is sometimes the greatest mercy, as the company surely thrives. Even though well-deserved, the executive team does not milk the cow, and capital for operations and employees always comes first. Its finances and expansion plans are strategised to the point, two years ahead. Ambition is what makes humans strive harder to improve and acquire better and bigger things, do more, be more… expansion and expression are thus what all ambitious humans strive for. Sometimes expansion comes through the money, luxury, playthings, status and power. But sometimes, expression manifests through growth and personal achievement, which in turn bring fulfillment. “Nothing is more important to me, than what I do here and now,” Maré concludes with a manly heart.